Please see our Events and Education feed for information on upcoming opportunities. See info on CRN's past events here (2017, 2016) to get an idea of the top-notch programming typically offered. 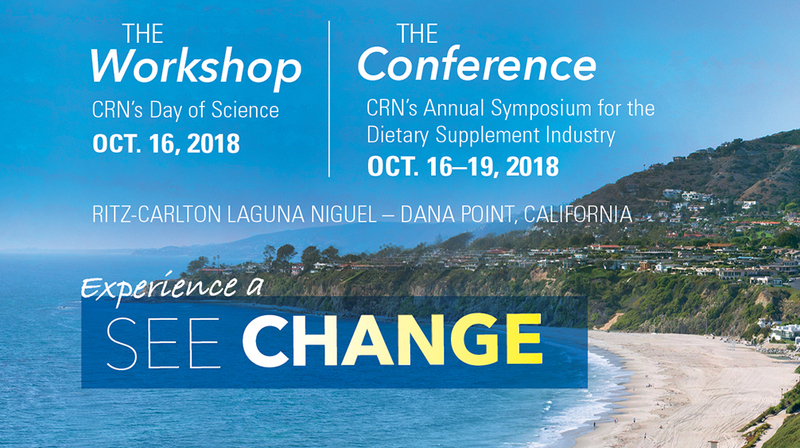 Dietary supplement industry event takes place Oct.
Industry-wide scientific symposium to take place in tandem with ‘The Conference’ at the Ritz-Carlton, Laguna Niguel, Oct.